Most in the industry understand that the Clear Protective Bra/Film market has been primed for an evolution for years. Spray Shield™ is a crystal clear, durable and safe method of protecting auto paint from scratches, nicks, chips and road debris. 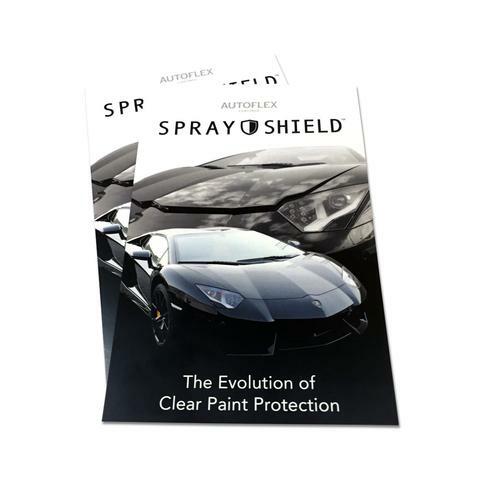 One of our most popular product lines, Spray Shield™ is quickly moving through the automotive industry and for good reason. Follow Spray Shield™ with AutoFlex™ Gloss Topcoat, and you have virtually invisible, enduring protection for the front bumper or even the entire vehicle. Below is a video from Dip Your Car showing how Autoflex Spray Shield works. Here are a few examples of spray sheid on New Tesla Model 3. Before the gloss is put down you can see what the matte autoflex spray shield would look like.